Last weekend we went to the Drive-In, something we have wanted to do for a long time. And it was so much fun! 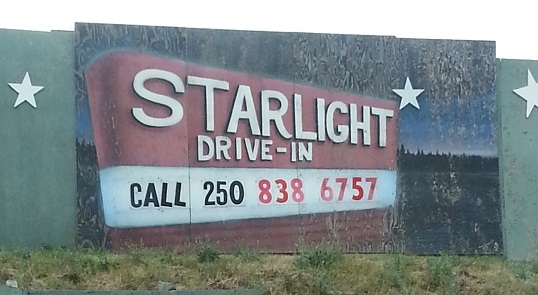 There are so few Drive-Ins left, and I hope they don't disappear. This one is a good 1.5 hour drive from our place in Enderby, so it was definitely a road trip! The early show was Despicable Me 2, which was great fun for our little one...and the late one was World War Z. Totally not suitable for a toddler, but started at close to midnight, so he was fast asleep by the time it started. The Starlight Drive-In shares some great tips & rules on their FAQ page, but I thought I would share some tips that they didn't mention. You can join their Facebook page too! I have to say what also made this great was that the Drive-In was clean, the staff were pleasant, and so helpful! 1. Snacks - lots of people will bring their own, but we do need to support these places with their concession if we want them to stick around. If you buy popcorn...bring a small bag to put popcorn in for the little ones. And rig up some sort of drink holder...we forget we don't have one in the back of the car...even a closeable drink container would work. 2. Blankets and pillows - you want it as comfy as possible! A small foamy mattress would be sweet too. 3. Zero gravity chairs...we didn't have any with us, but they look like they work way better than regular lawn chairs. 4. Something to do until the movie starts. Games/sports/etc...it looked like so much fun! 5. Hot cocoa for the late movie (the concession closes 20 minutes after the last movie starts). And possibly mosquito repellant. We didn't need it but it could be crucial to your enjoyment! I think even one of those coils would work well. It was such a great experience...and we can't wait to do it again! 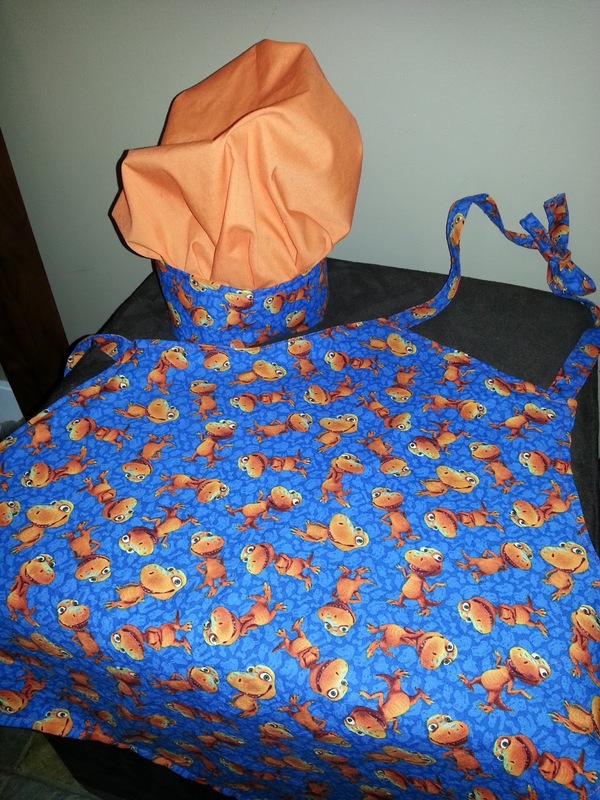 Aprons and Chef Hats that go together. I have been a little tardy on my blog posts lately. Life is just so darn busy, and I always seem to have a million projects on the go. The Okanagan here is ripe with fruit so canning season is about to commence for me. But prior to that, I had a little project that I wanted to complete. I had made some aprons for the kids of some friends last year. 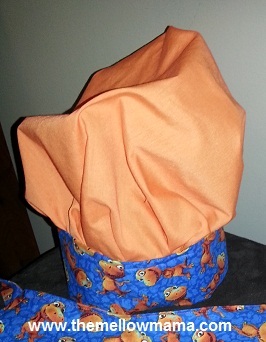 And I thought I would give it another attempt for the birthday of a dinosaur loving 4 year old of another friend..but this time I added a Chef's hat. And it was a success! I can't remember where I got the actual pattern for the apron from, but there are so many free ones on the internet. I created a pattern that I keep and have used several times now. But I do remember the Chef's hat pattern that I used. I didn't do that gathering bit...just free-sewed the top of the hat. And I think it turned out pretty good, here is a close up of the hat!